It was announced some time ago but in case you haven’t heard, Wasatch Rails has a new name and a new location! 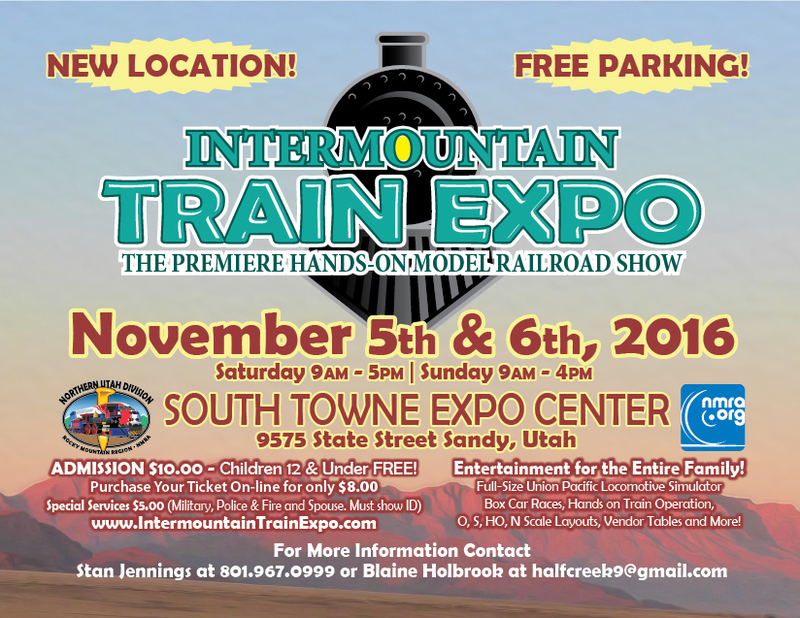 It is now called the Intermountain Train Expo – The Premiere Hands-on Model Railroad Show and will be at the South Towne Expo Center in Sandy, UT. There are many benefits including a larger facility (and all on one level), easier access, free parking and much more! You can order tickets online at a discount or just browse the new website to see all that will be included. It is still a little ways off but there have been many meetings to not only help the transition but also to have the greatest show there possibly can be! More info will continually be added to the new website as it is confirmed.